IFSW Secretary-General Rory Truell and IFSW Representative in Geneva Priska Fleischlin met today The UN Deputy High Commissioner for Human Rights (OHCHR) Kate Gilmore. In the meeting, it was agreed that that there was a need to explore developing a partnership between the Commission and the Federation to strengthen the capacity of each organisation. Kate Gilmore who is also a social worker said, “Social workers have for long-time understood human rights as a core foundation in their work. Our office seeks partners that share the understanding that fulfilling human rights leads to sustainability. We look forward to developing strong relationships with IFSW and its national level members”. The IFSW representatives commented, “This meeting was an important development. In social work, we know that building partnerships and working together with others is the key to successful outcomes. Working with the OHCHR will open many doors where social workers can share their practice models, learn and participate with others that are working towards the realisation of everybody’s rights”. Also discussed was that social workers as human rights defenders often face persecution, wrongful imprisonment and on occasion death as a result of their work. 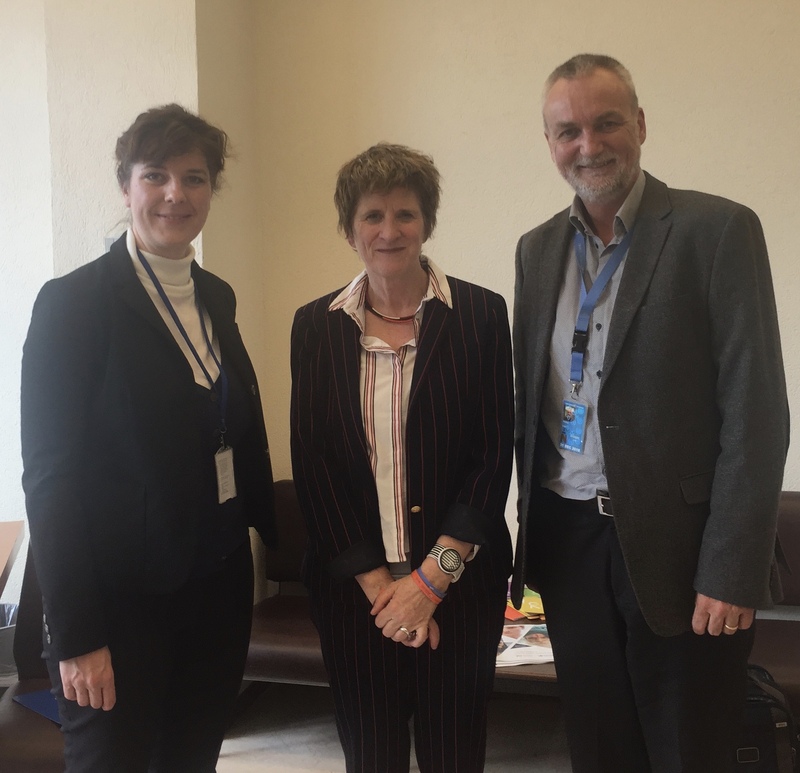 OHCHR and Federation shared an urgency in protecting human rights defenders and agreed that this must be one of the priorities as we move forward together. Both parties agreed to meet again to further develop working arrangements.